Schoolgirls look dashing in uniform. 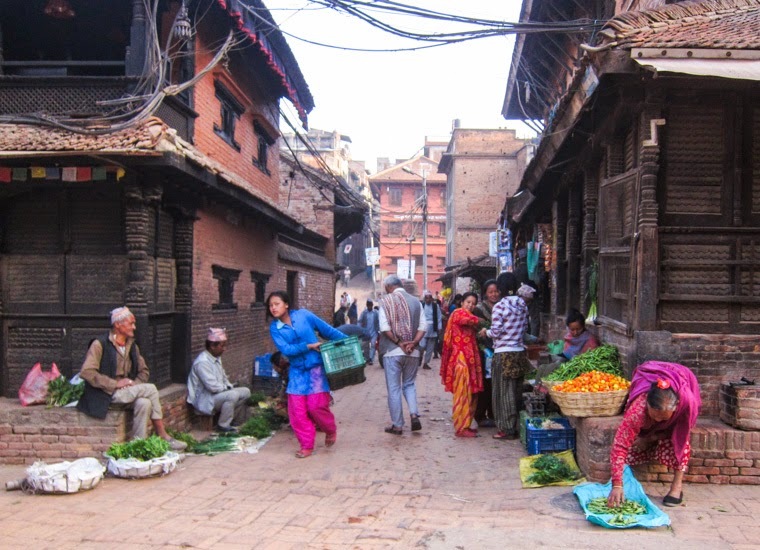 A taxi ride that cost us 900 NPR (~$10.50 AUD) after some haggling in Kathmandu, and we arrived at Bhaktapur at the crack of dawn. Super early, but the locals were up already and going about their daily routines. People going to work. People going to school. People just hanging out. All against the backdrop of amazing ancient architecture. 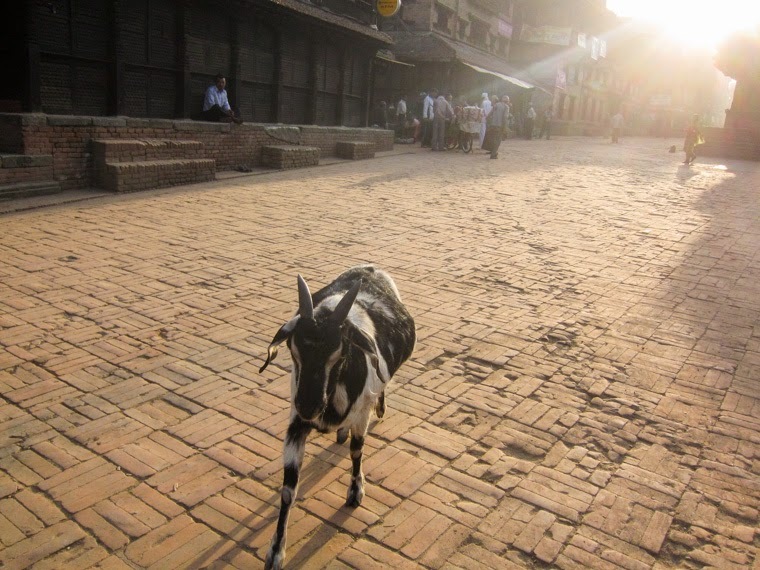 Soon afterwards, we saw a goat and started taking pictures of it. He noticed, and came galloping right towards me. I stood there flustered, wondering if I was about to become a victim of a random goat attack. And then, and then... he nuzzled his head against me, and I instantly fell in love. Grinning from ear to ear, awash in unexpected delight and affection. "Simon, he's just like a cat!" 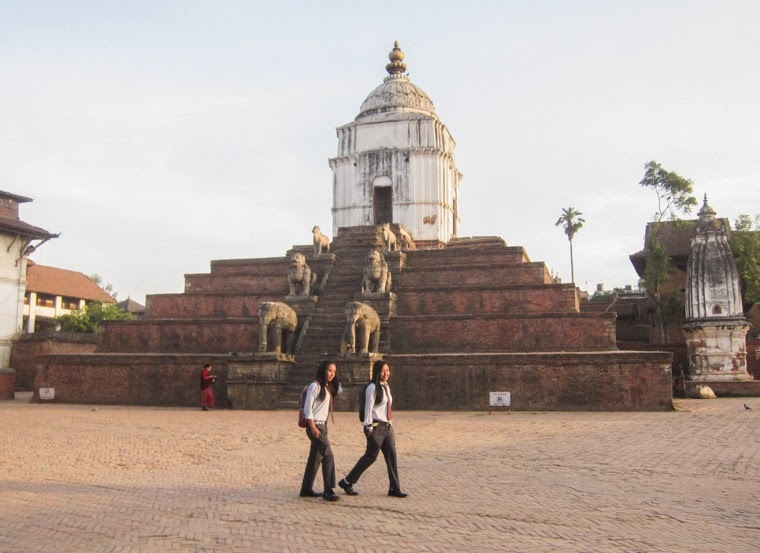 I still consider that to be one of my best moments in Nepal. Here, meet the best goat ever. He comes to me and shows me unexpected warmth and tenderness. Bless! So many bunches of spring onions! 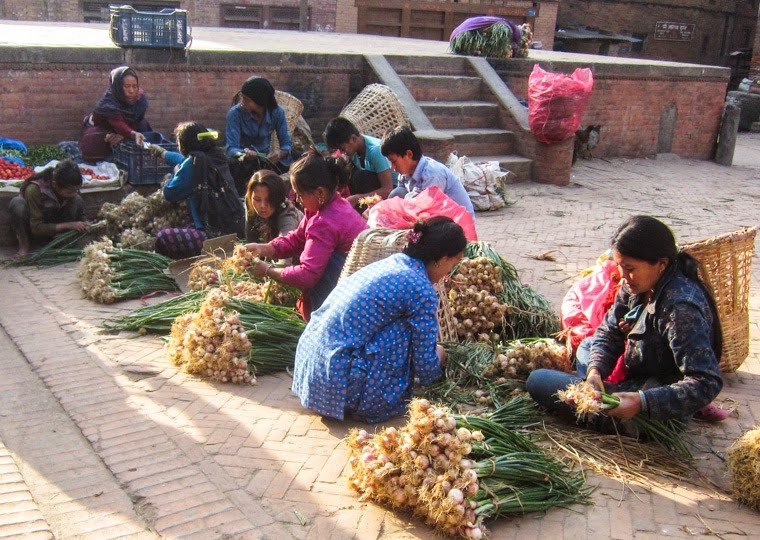 and one can handle both spring-onion-bunching and baby-minding tasks at the same time. More spring onion activity, and a baby. 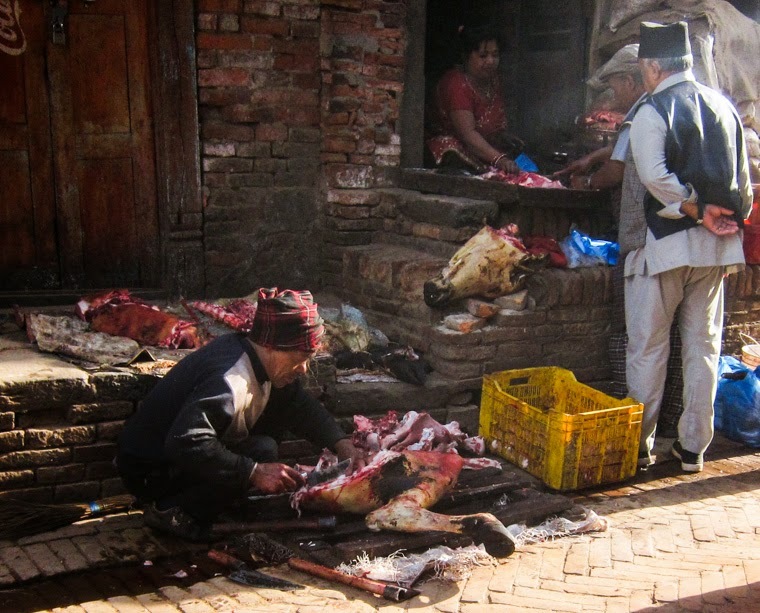 Then we start seeing street food by the roadside, just right out the front of houses and shops. The Nepali doughnuts looked really good. 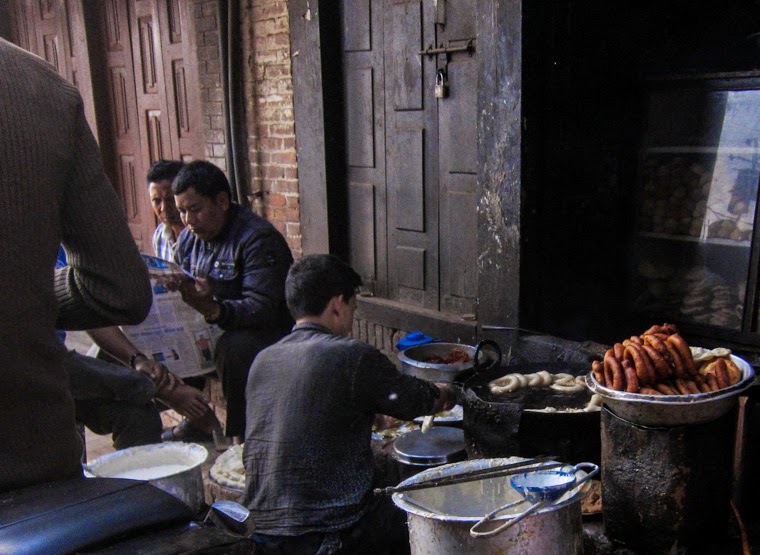 Sel Roti, a Nepali doughnut made from rice flour. They tasted really good, too. Still warm from the fryer, the thin, crisp layer gives way to a pleasant sweetness, a yielding chewiness. 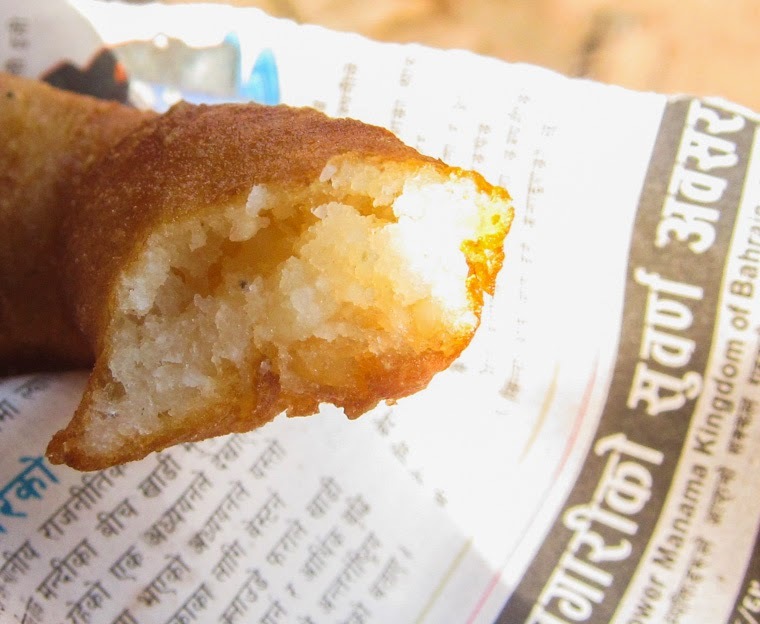 The cross-section of a Nepali rice doughnut. 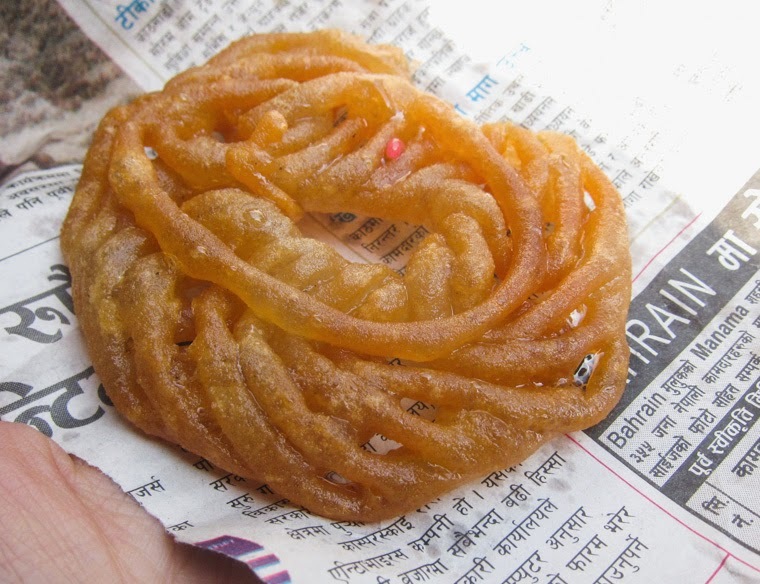 Then there is Jeri (also known as Jalebi), they look like pretzels but that's where the similarities end. 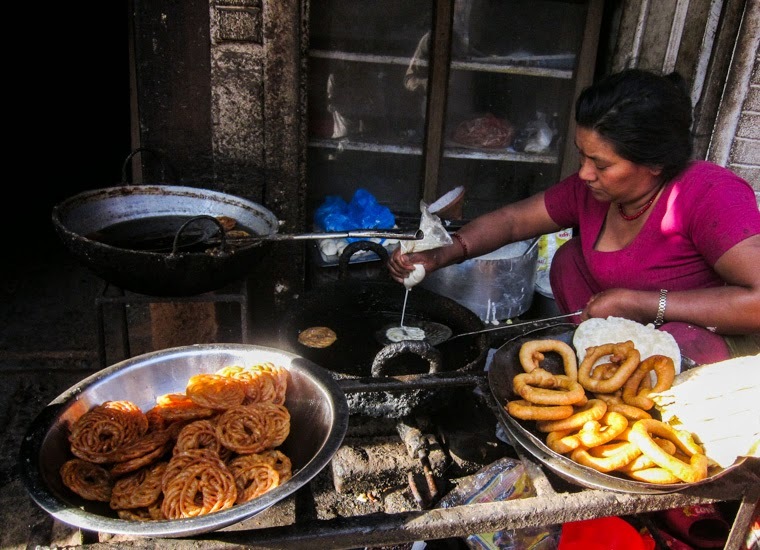 A woman making Jeri, or Jalebi. It's soaked in a saffron-cardamom sugar syrup and it's incredibly sweet. 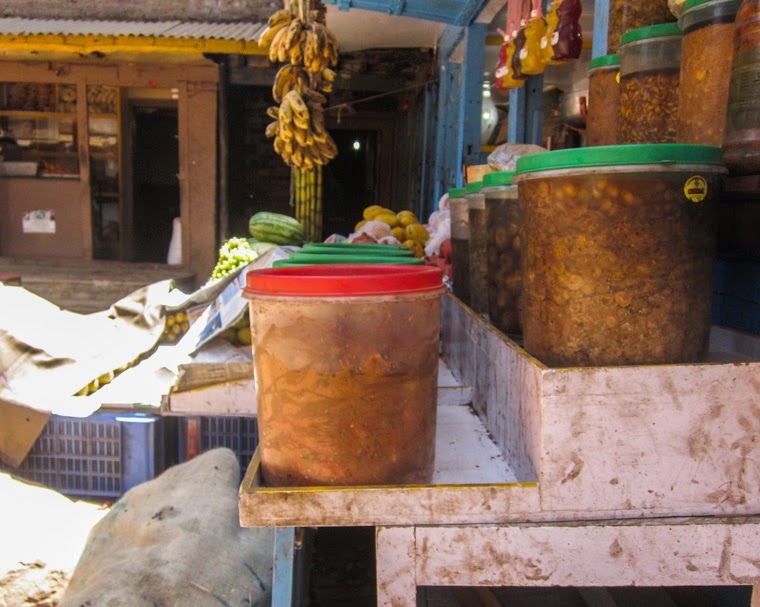 Perhaps too sweet for me, and yet, I enjoyed it (in small doses)... a freshly made jeri is such a fragrant, enticing combination of crunchy, dewy goodness. 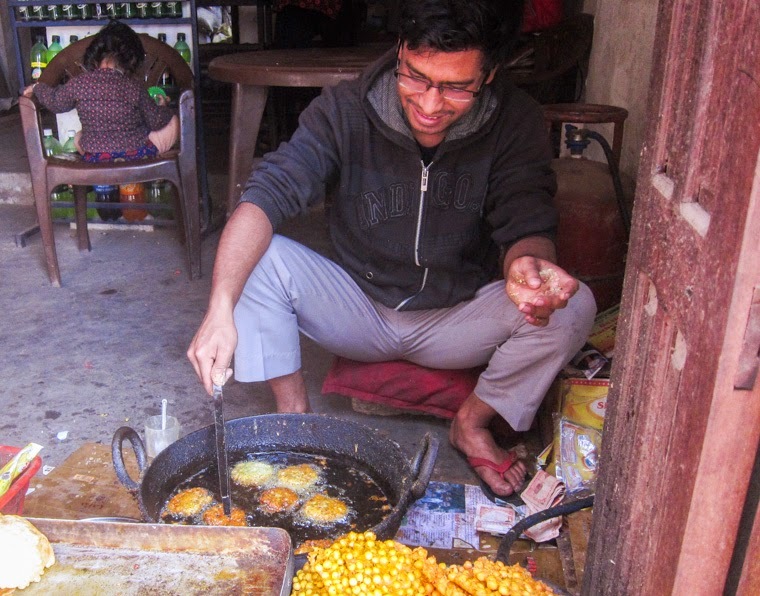 A man frying up some chickpea fritters and pakoras. 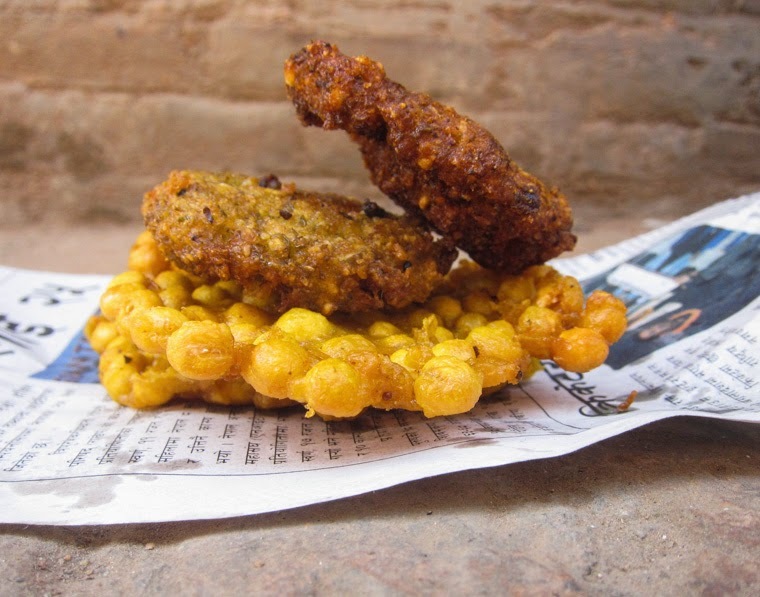 Observe here crunchy golden chickpea fritters and crisp, tender pakoras. They were just the savoury snacks we wanted after a sugary start to the day. We went back for second helpings. Crunchy golden chickpea fritters and crisp, tender pakoras. All the street snacks we had above were only 5 NPR ($0.06 AUD) per piece. Satisfying in so many ways! 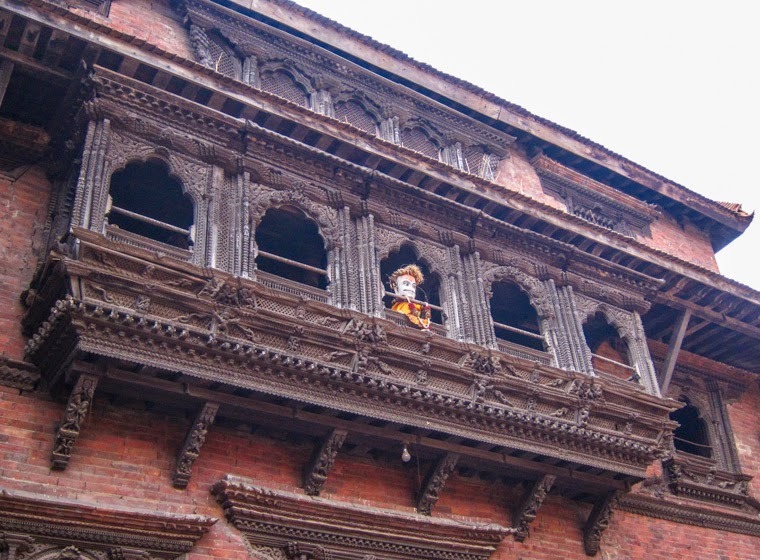 A puppet in a window. 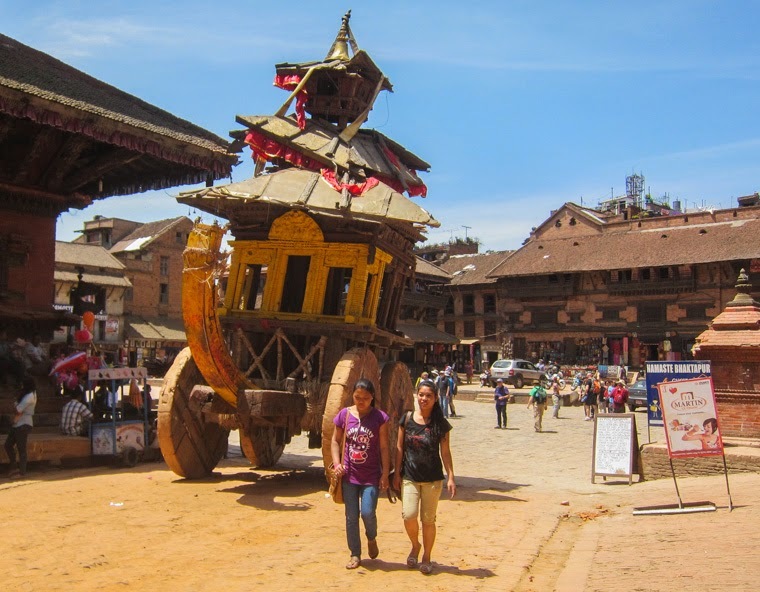 A chariot from Bisket Jatra - Nepali New Year celebrations. 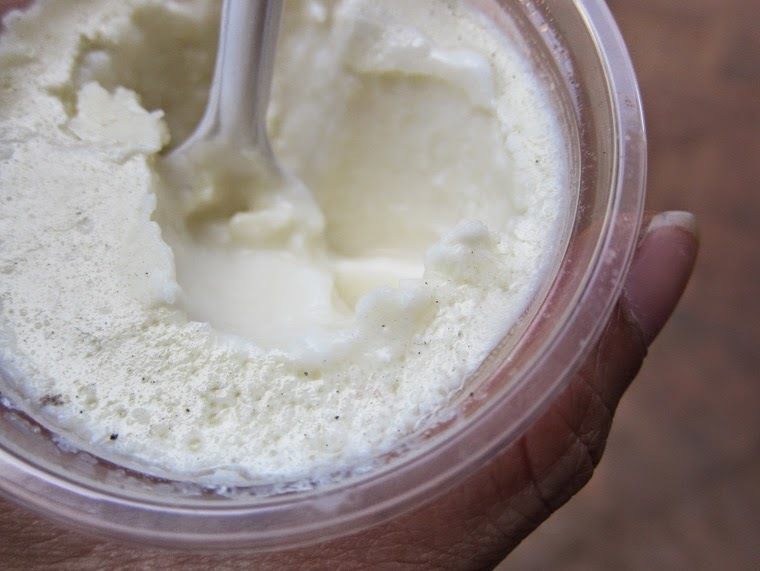 Juju dhau - king curd / king yoghurt: a creamy, sweetened yoghurt which is famous in Bhaktapur. 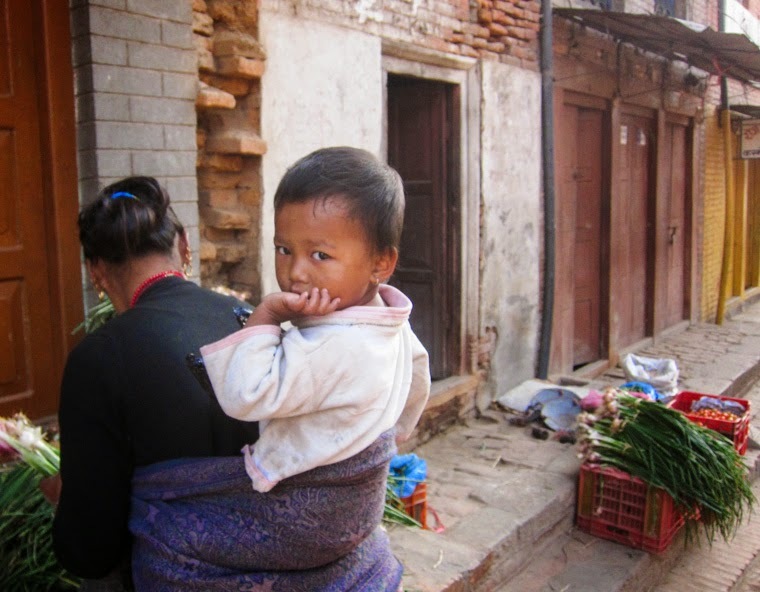 And finally, tired but fulfilled, saying goodbye to Bhaktapur. 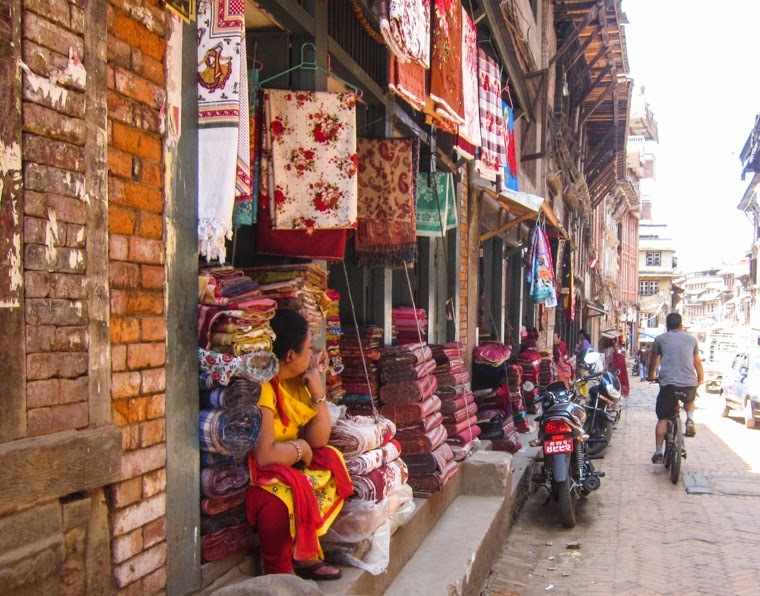 A lovely afternoon in Bhaktapur. The next day, we flew back to Australia with lots and lots of magnificent memories. 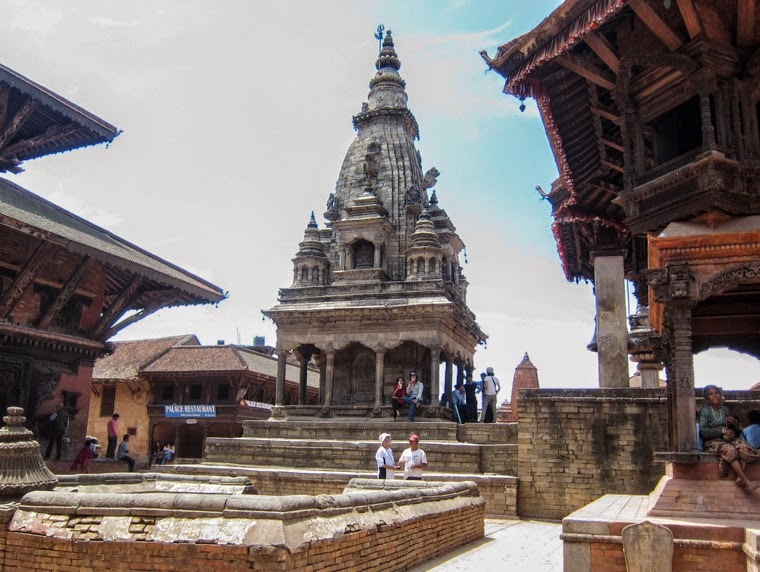 This concludes my Nepal series for May. I hope you enjoyed it! Fascinating photos as always, just wonderful! 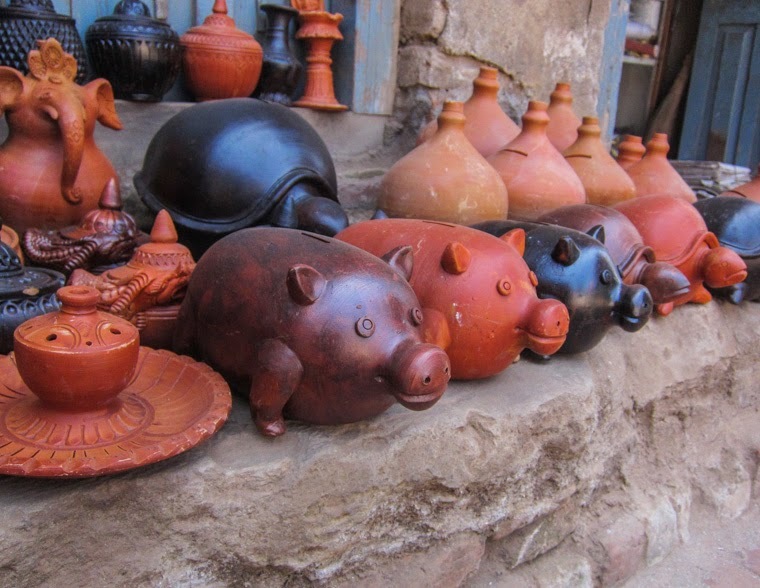 Markets are probably one of the best ways to see a new country or place I think. I'm definitely a big fan of markets! We saw many goats in Nepal, they were generally shy or nonchalant, but this particular one was so proactively sweet and friendly, bless. Such a cute friendly goat... love it when livestock are so friendly! 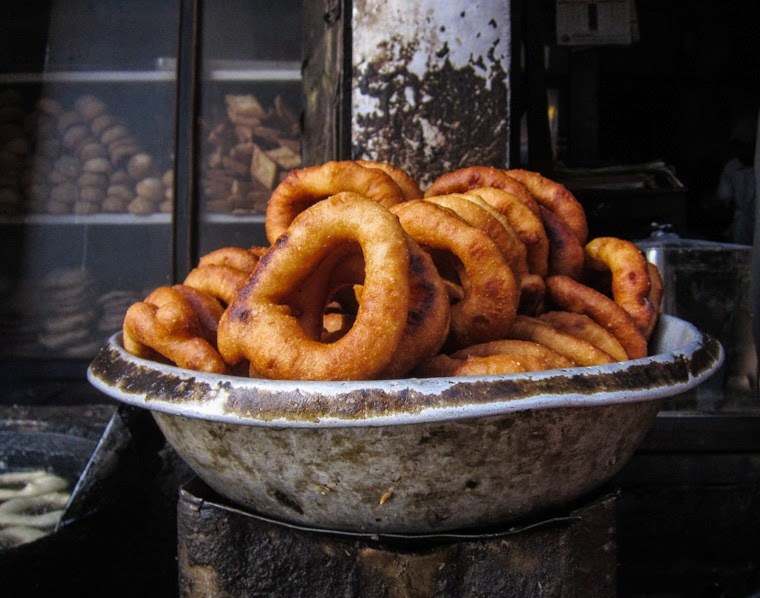 And those Nepali doughnuts look uh-maaa-ziiing! 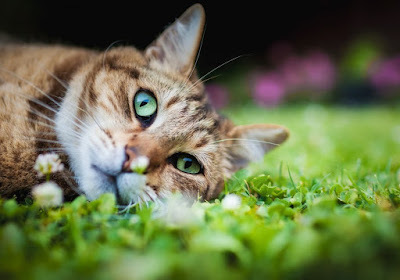 I know, so cute! The doughnuts were scrumptious, they remind me of the flat Chinese doughnut "ham jim beng" which you may be familiar with. Yesss! I love ham jim beng!!! I love everything in this bar the hacked up cow. My friend has a goat and she takes him everywhere. He's so cute and they are naturally very affectionate! The goat! Oh my goodness, I think I might have got teary if that happened to me. What a sweet goat. My parents had a goat when I was born and it used to come on walks with my mum, me in a pram and the dog! P.S. reading this made me go and buy an e-book I've been meaning to read... Four Seasons with a Grumpy Goat - How I learnt to stop worrying and love life on the farm Carol Altmann !! !